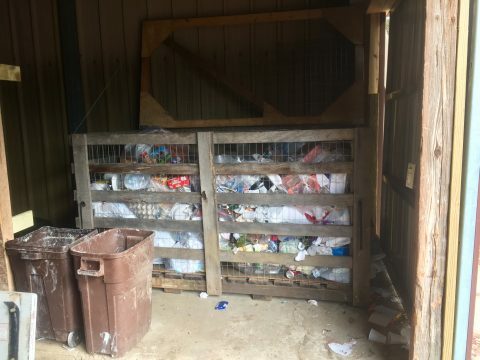 Camp composts all its food waste from the dining hall by dumping the leftover food and napkins into this bin and then covering it with a layer of wood chips. It’s a compost lasagna! We spent September 2016 – April 2017 creating the “Camp Friedenswald Resilience and Sustainability Plan 2022.” We are excited to share our journey here. To see an overview of our triple-bottom-line plan, addressing environmental, social, and financial resilience and sustainability goals at Camp, check out this document. If you would like to print a booklet of the overview, check out this document. Waste from meals is divided into compost (including napkins), trash (really only jam and butter containers at this point), and recyclables. 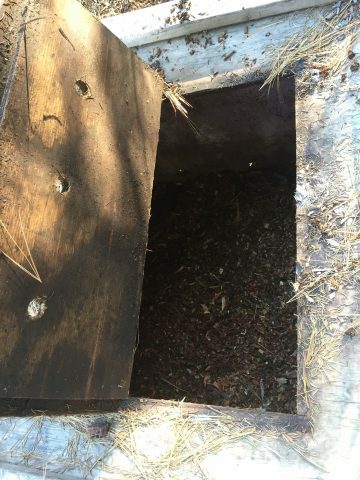 Camp composts all its food waste by dumping the leftover food and napkins into this bin and then covering it with a layer of wood chips. The wood chips help the food to get enough oxygen to break down properly. It is like a compost lasagna! 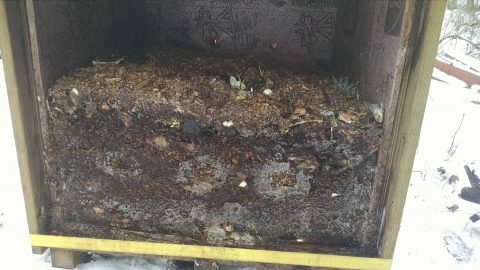 A view of the inside of the composting container. 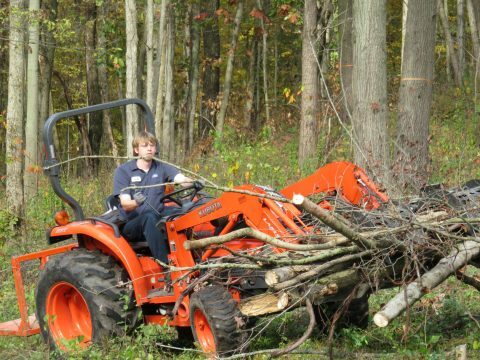 All you see is wood chips! Here you can see the layers of the compost lasagna after weeks of sitting in the compost cube. This is then dumped into an open air pile to finish the composting process! 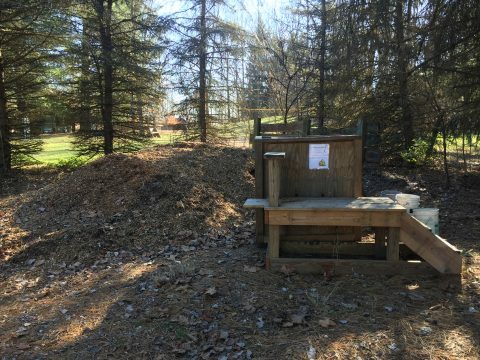 We added compost buckets to all our lodges in 2018. 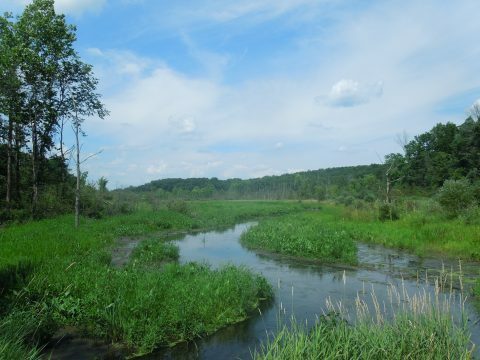 Read blog posts about our prairie fen and about our habitat restoration efforts. Caring for our prairie fen is an important way Camp helps build biodiversity. 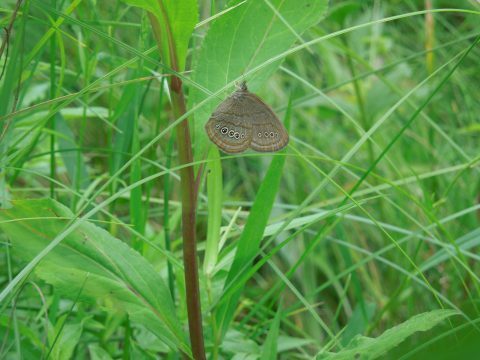 A photo of the endangered Mitchell’s satyr butterfly taken at Camp in 2017. 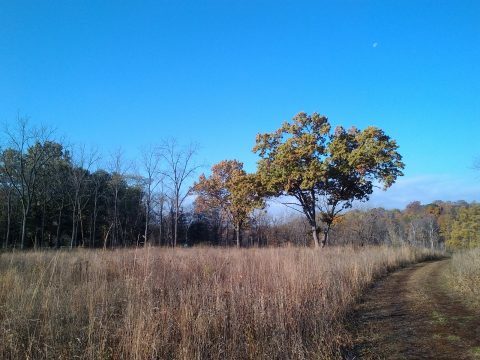 Our prairie and oak savanna provide more habitat diversity for the creatures that live at Camp. We are restoring part of Allen Hill to walnut/oak savanna. Volunteers have been an enormous help. Here brush is being piled to burn. 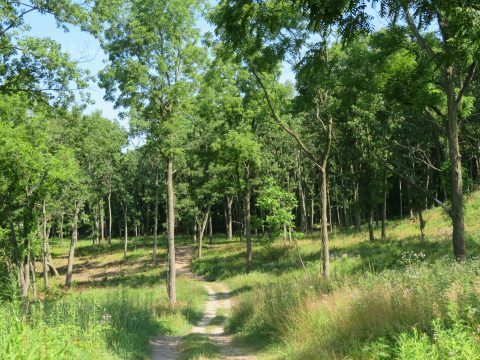 Here is the state of our oak savanna in the summer of 2018, after over a year of restoration work by many Camp staff and volunteers. Grasses are coming up! 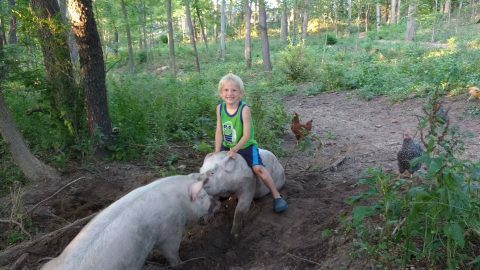 Riding pigs – not something just every kid gets to do! Switched to 100% LED lighting in the spring of 2018! 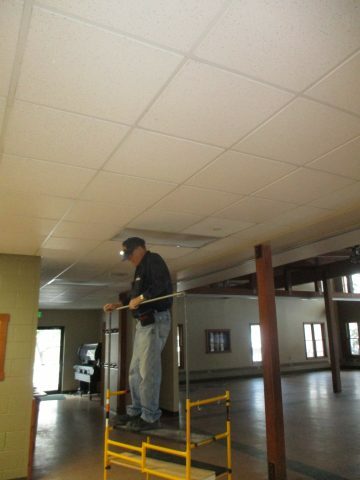 Changing light bulbs in the Dining Hall was an adventure! Light bulbs, light bulbs, everywhere! 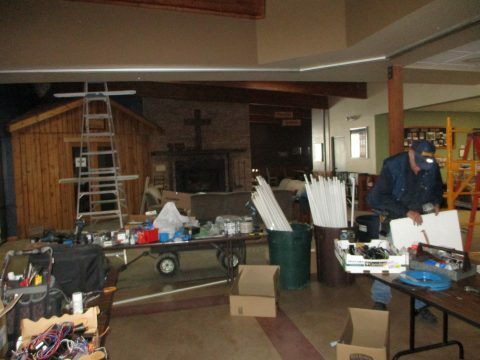 Volunteer Terry Schey changed many, many bulbs for Camp! 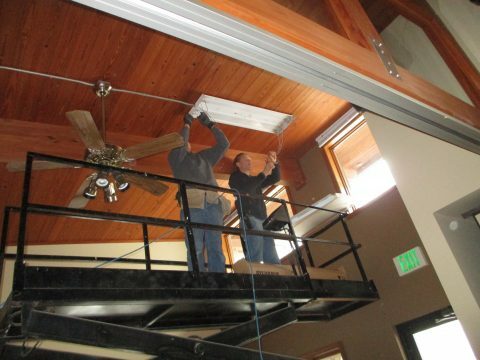 Amazing volunteers Keith Sommers and Tim Luginbill helped with the LED switch over. 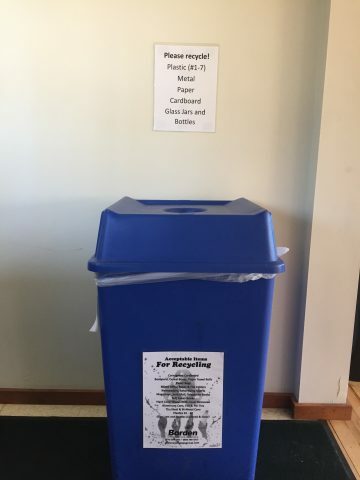 We have recycling containers in the dining hall, lodges, Cottonwood (formerly the Chapel), and the Nature Center. 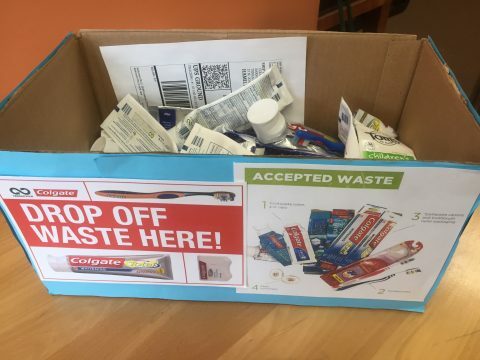 Single stream recycling is available to us, so we can put all the recyclables together. A “behind the scenes” look – this is our largest dumpster at Camp, and it is dedicated to recycling cardboard. 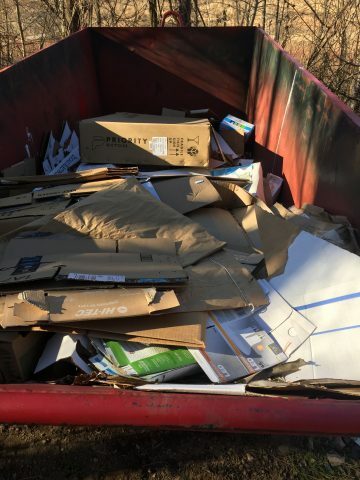 We keep our cardboard separate, as our waste hauler takes it to recycling for us. 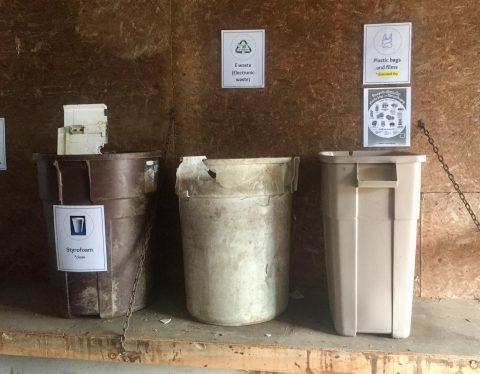 Not the prettiest spot on camp, but an important place to collect other recycling – plastic films, e-waste, batteries, and Styrofoam all have their own spot in the “zero waste shed”. Reduce trash by eliminating the use of disposable cups, stir sticks, etc. 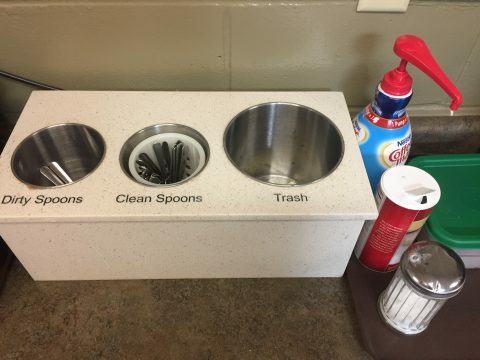 Spoons take the place of stir sticks in our tea and coffee area. As you can see, there is still trash from the drink area at this point – tea bag packets and sweetener packets for the most part. 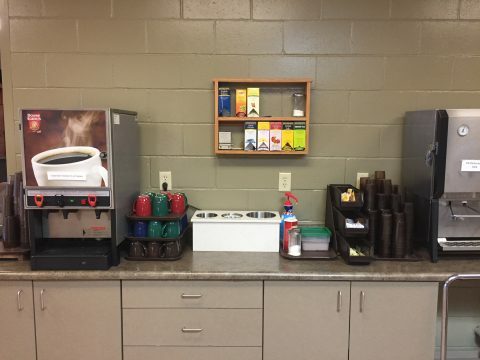 Our coffee and drink area has reusable cups, spoons instead of stir sticks, and no creamer cups. Reduced use of motorized transportation on Camp property by using bicycles. 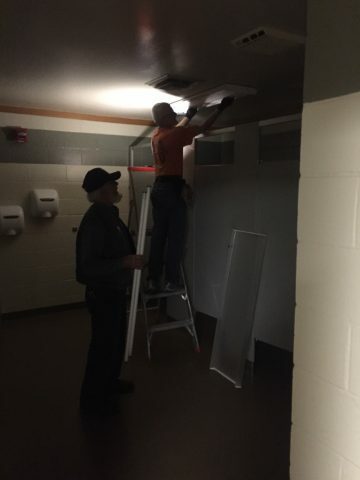 Installed dark sky lighting for outdoor lighting on new and newly renovated buildings, which avoids light pollution at night. Purchased metal roofs, energy efficient appliances, 100% recycled content indoor and outdoor floor mats, replaceable carpet squares (instead of rolled carpet), and Indiana-made durable furniture for new and newly renovated buildings. Purchase 100% recycled napkins, paper towels, toilet paper, and tissues. A major component of our social goals at Camp is to increase education to both guests and staff on the topic of environmental sustainability. We get really excited about education here, as it can create a ripple effect for positive change in the homes and communities of all our guests. We used “Wangari’s Trees of Peace” book all summer. The book tells the true story of Wangari Maathai, a woman who started the Green Belt Movement in Kenya in 1977. Cabins took turns acting out different parts of the story each night at campfire. 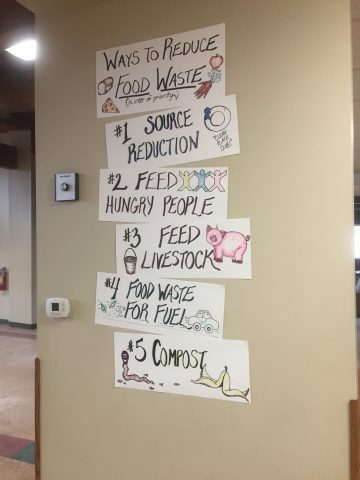 Campers helped with compost and weighed food waste each day – some took the effort to reduce food waste challenge very seriously – even forgoing napkins (which go into the compost at Camp) and licking their plates clean. 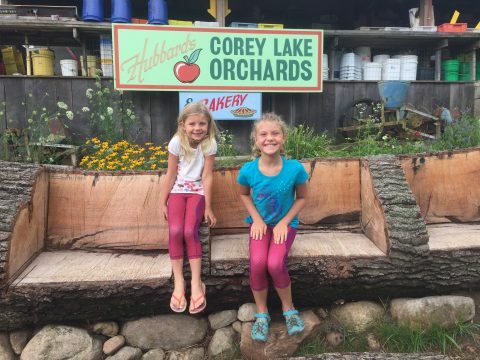 One parent shared that their camper returned enthused about compost and ready to begin the practice in their home. 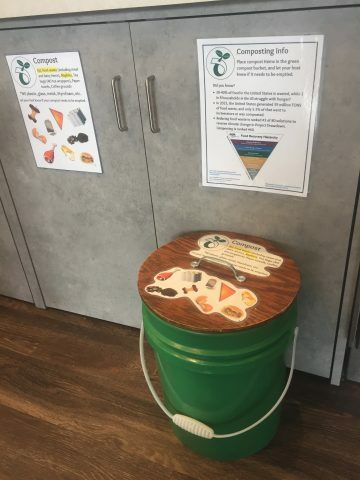 Two schools took on the challenge of weighing their food waste table by table, and used it as a competition to see who had the least amount of food waste. One group of 120 people was able to get their total food waste for a meal down to 1.18 pounds! 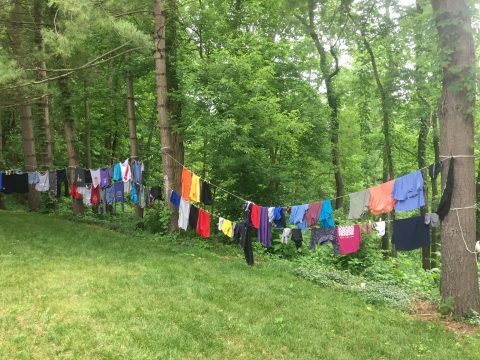 Summer staff took reducing their energy use to heart, and used clothesline to dry their clothes all summer. Campers heard about the importance of reducing food waste. 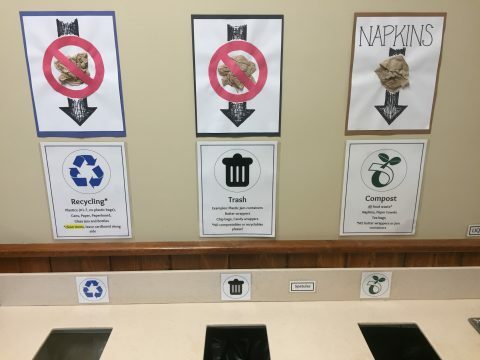 These signs depict the EPA’s prioritized recommendations for reducing food waste. We are committed to ensuring that every summer camper who wants to come to Camp Friedenswald can do so, regardless of financial ability. We offer camperships (scholarships) to anyone who has the need for it. If you feel you would benefit from this program, please call our Program Director, Naomi Leary, at 269-476-9744 for more details. We are committed to providing a living wage for staff at Camp, which includes consideration for minimum food, childcare, health insurance, housing, transportation, and other basic necessities (e.g. clothing, personal care items, etc.) costs. We are happy to say everyone employed at Camp is at or above a living wage as designated for a single person in Cass County, Michigan by MIT’s Living Wage Calculator as calculated in the fall of 2018. In order to provide camperships, living wages, and excellent experiences for all our guests, financial stability and even growth are necessary for Camp to be resilient and sustainable. See our end of the year report for more on the financial outlook at Camp. Stay posted for news about Camp’s journey in this area. Let us know if you have ideas or thoughts about steps forward! Email [email protected] for more information or to give your feedback.